Eschatology – What Do The Time Statements Mean? March 21st, 2009 08:30 PM | by William Bell | Eschatology. In this study, of Eschatology, What do the Time Statements Mean?, we look at the time statements that give clues to when Jesus would return. Most believe it is presumptuous to know anything regarding Christ’s return. The reason is because of the words of Christ in Matt. 24:36, “But of that day and hour no one knows, but my Father only.” How can we know something that God only knows? The answer to that is we can’t, unless of course God reveals his mind to us. “Even so no one can know the things of God except the Spirit of God,” (1 Cor. 2:11). However, God sent the Spirit to reveal things which were to come. Some things not revealed by Christ were in fact revealed by the Holy Spirit, after Christ ascended to heaven. Much is revealed in God’s word about eschatology. Particularly time and eschatology are quite notable in the scriptures. Can We Strip Eschatology of the Time Statements? The apostles taught that Christ’s return was imminent (soon to come). In fact they expected in their generation. Most all commentators admit this fact. Hardly, can one read a passage in the epistles about Christ’s coming which does not indicate it was at hand. That means eschatology is about imminent events. Salvation was nearer, the night far spent and the day had drawn near, Rom. 13:11, 12. The time is has drawn near for things which must shortly come to pass, Rev. 1:1, 3, 22:6, 10. Eschatology must address the time. That is quite an emphasis on the nearness of Christ’s return. It is why those in the first century expected Jesus’ return in their lifetime. Besides Christ promised that very thing. But, note in all the texts above, not one mentions a knowledge of the day and hour. This is important. Can one know the above without knowing the day and hour of Christ’s return? Before we address this question specifically, let’s examine more of the evidence from what Christ stated about eschatology and the time of the end. In Matthew 16:27, Christ spoke of the time in which he would come to judge every man and reward each according to his works. This text is a quote from the Old Testament prophet, Isaiah. “Indeed the Lord has proclaimed to the end of the world: Say to the daughter of Zion, “Surely your salvation is coming; Behold, His reward is with Him, and His work before Him.” Isa. 62:10. Eschatology is rooted in Old Covenant prophecy. See also Isa. 40:10. “Behold, the Lord God shall come with a strong hand, and His arm shall rule for Him; Behold, His reward is with Him and His work before Him. Thus, Christ quoted the texts from Isaiah concerning his coming to judge and reward. This the time of judgment would occur before some who stood with Christ meaning while he was on earth died. Again, we ask, is there anything said about the day and the hour? The answer is no. So what does this mean? It means that one can speak about an event which occurs before others die, and which can be at hand, without stating the day and hour of that event. It was the same Lord who spoke those words in both cases. It does not create a conflict for imminent eschatology. In the N.T., it always refers to the generation living contemporary with Christ in the first century. Not once did it ever refer to a future generation of millennia to come. Once again, eschatology is bound by the terms limiting Christ’s return to the end of the age. Yet, nothing spoken of for events to happen in that generation would lead us to believe that Christ revealed the day and the hour. He did not. A generation is general time, a day and is precise time. Christ gave information about the general time, meaning the event would happen in their generation, which is why they spoke of it as having drawn near. He did not give them the day and the hour, thus the need for those in the first century to be vigilant. The coming of Christ inseparably connects to the destruction of the temple in 70 AD. Not one stone would be left that would not be thrown down. Here we have the historical event, yet in their generation, which marks the time of Christ’s return, (Matt. 24, Mk. 13, Lk 21), but no day and hour is given for the time the temple would fall. Yet, Christ promised that upon its destruction, those living in his generation would see him coming in power and glory. Eschatology demands a fair hearing for the time statements. Eschatology demands a first century fulfillment. The eschatology of the Bible is fulfilled eschatology. 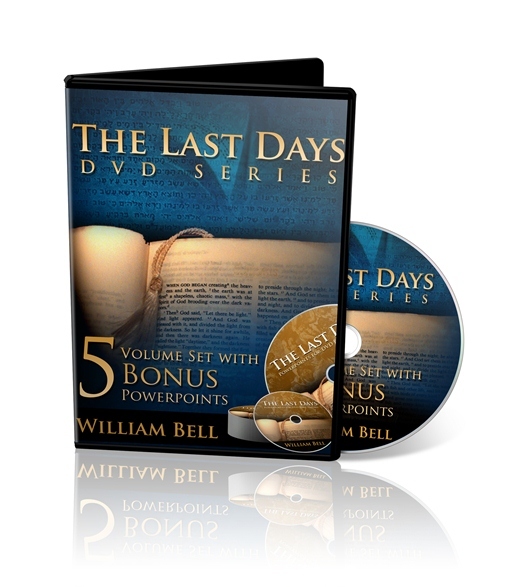 To see a complete picture of eschatology get a copy of our Last Days DVD Series, a five hour study with PowerPoint slides for each lesson. « Eschatology – What Do the Law and the Prophets Have to Do With It?